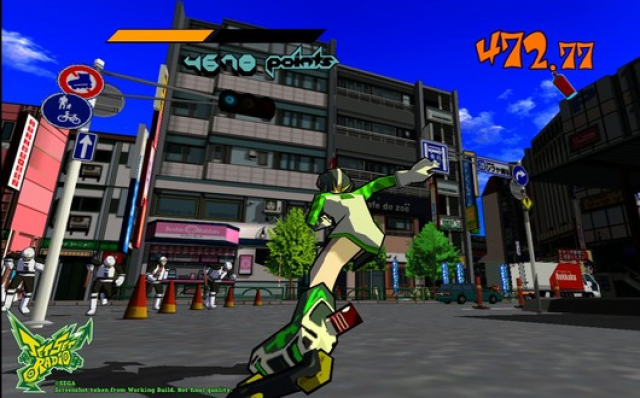 Sega recently revealed the release dates and price of its HD remake of Jet Set Radio. Yes, dates plural. PlayStation Plus members will get the first taste of the game on September 11th. Regular PSN users will get the game a week later on September 18th. XBLA and Steam users will get the game the day after, September 19th. Finally, PlayStation Vita owners will get the game on October 16th. The game will cost $9.99 across the board. Sega still hasn’t revealed the launch date/price for the iOS and Android ports of the game, but we’re assuming that it’s still on track for sometime this summer. Given how there’s only about a month of summer left, I have to guess we’ll get it soon. Finger’s crossed.